Blocks Magazine has a full-page feature on our community in its latest issue (#42, April) which will be in stores over the coming days. Don’t miss this chance to pick up a copy and treat yourself to a collection of Irish AFOLs mugshots courtesy of our recent Dublin get-together. You might also learn some more about our group! 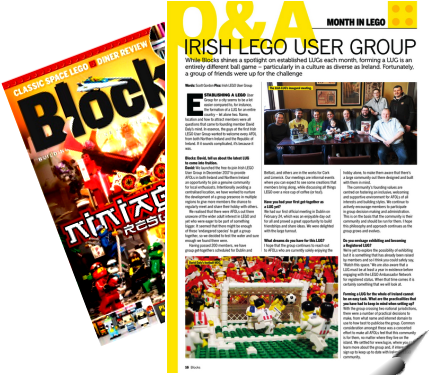 Where can I buy Blocks Magazine in Ireland? Can I buy a digital version?